Yes, we all know that we are in the throes of a world wide global economic crisis. But sometimes it takes something dire and international to help us to really SEE. Today my new Anthropologie catalog arrived with exactly that kind of very special fashion reminder. FALL 2011 has a message for us. And it is this. Nothing shows off a great new outfit like PEASANTS! I…um…(clearing throat)have a new book coming out in November. You can pre-order it at(coughing) Amazon or Barnes and Noble or maybe somewhere else that you like better but I didn’t think of. Thank you. Plus I will send you a handwritten thank you card.You never get that kind of thing from the vampire people. This entry was posted	on Saturday, September 3rd, 2011 at 4:43 pm	and is filed under blog post. You can follow any responses to this entry through the RSS 2.0 feed. You can skip to the end and leave a response. Pinging is currently not allowed. The lowest. And so true. Hilarious. And thank you Madame Newman! 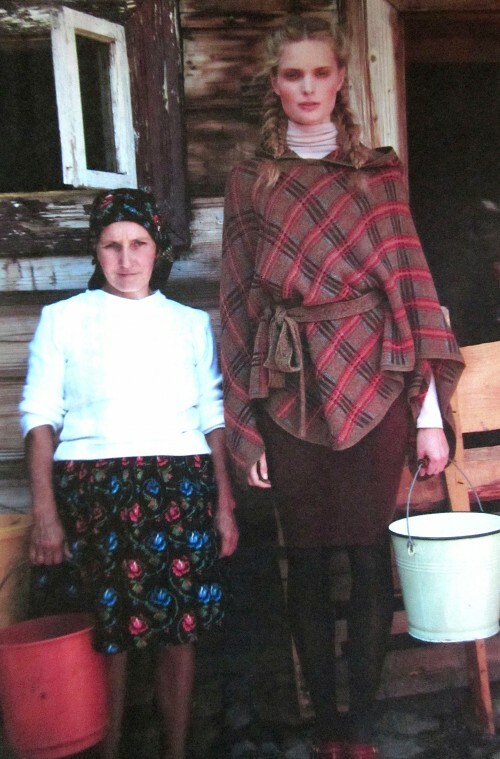 As a former male supermodel, I can say from experience that posing next to peasants makes me look taller. They are a flattering staple for any professional. First time ever laughing out loud at a blog. We’ve been loving your writing for years, and I’m very much looking forward to your new book- just in time for my #(%ing birthday!!! Thank you so much,Susan Marder!! I am grateful for the complement! 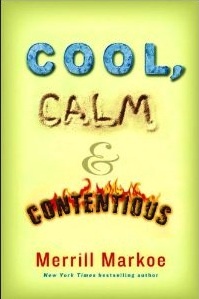 Very funny blog and can hardly wait for COOL, CALM AND CONTENTIOUS to arrive. May I also order the male peasant in the white shirt (second photo, peasant on the far left)? Claudia: Your peasant is available in a small and a medium in a variety of attractive colors. But white is presently on back order until November. Thank you, Merrill, for making me feel better than my career in marketing never got off the ground! Hilarious! This company deserves to be ridiculed for its overpriced fashion and its use of symbolism and tropes to bilk money out of hipster boho folk. The right-wing conservative who owns the company laughs all the way to the bank when he donates money from selling peace signs to ultra-conservative causes. Silly hipsters, this company’s fashion is for duped dodos! Powered by WordPress v 4.7.13. Page in 0.566 seconds.